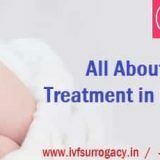 GO IVF SURROGACY is the best and leading clinic for all those couples who wish to have an own baby but the cause of infertility is stopping them to become a parent from couples. For all these couple GO IVF SURROGACY is the clinic which is one stop destination for all types of infertility issues and help the couples in conceiving their own baby. Egg donation is a very simple procedure at GO IVF SURROGACY clinic where the fertility experts will borrow the eggs from other young, healthy and fertile women between the age group of 21 to 28 years and artificially inseminate these women eggs with the sperm of the recipient husband to facilitate fertilization and once the fertilization occurs the embryologist will transfer the resulted embryo into the uterus of the intended mother and will wait for the signs and symptoms of the pregnancy. After two weeks of your embryo transfer you need to visit the GO IVF SURROGACY clinic again for the pregnancy test and if the results are positive then your pregnancy will grow as normal and your fertility expert will advise you to avoid hard exercises such as gym, aerobics, swimming etc., however, in case your first attempt is not successful then GO IVF SURROGACY offer you the second attempt at very reasonable cost which fulfils your dream of having an own baby. The women whosoever wish to become an egg donor needs to fill the application form where she has to provide her personal information such as family history, her medical history, educational background, drug usage, her hobbies, sexual activity, childbearing history, their age which should not be more than 28 years etc. Initial screening will be conducted for all egg donors and if they are able to clear the initial screening only then they will undergo the interview with the clinic coordinator. After the initial screening, they have to undergo for the medical and physiological testing and they are properly screened for infectious diseases such as AIDS and Hepatitis B. An ultrasound will also be conducted for them which examine the status of the uterus of an egg donor, ovaries, and other pelvic organs. Once all the examinations and other formalities related to egg donors are completed then all the egg donors need to follow the legal procedure which states that an egg donor has no issues for whom her eggs are being used. They get paid for their services by the clinic where they donate their eggs. Once all the documents are signed by egg donors they are ready to donate their eggs. We have a large database of various young, healthy and fertile egg donors from different countries and couple can choose the egg donor according to their preference. If you are looking for an Indian egg donor visit GO IVF SURROGACY clinic where you will get the best young, healthy and fertile Indian egg donors who are continuously serving their services from past few years and have the highest success rates of their egg fertilization with the recipient husband’s sperm. Most of these egg donors are in the age range between 21 to 28 years, have a college degree and are smart, tall and beautiful women who help the couples in conceiving their own baby and all these egg donors are paid for their services by GO IVF SURROGACY clinic. If you are looking the Caucasian Egg Donor who matches with your requirement then GO IVF SURROGACY clinic also have the large number of database for these Caucasian Egg Donor who are healthy, fertile and young to offer their services, however, the cost of the Caucasian Egg Donor is little bit more than the Indian egg donors because they are the one who travels from other countries to India to provide their services for the couples who are looking to have their own baby through egg donation and this is the reason that they are little expensive than Indian egg donors. GO IVF SURROGACY clinic is a clinic which offers you not only Indian or Caucasian Egg Donor but also the African egg donors who are tall, healthy and more fertile egg donors travelling from another country to India to provide their services and the cost of these egg donors are comparatively more than the Indian and Caucasian Egg Donor because the eggs of the African egg donors are healthier than the Caucasian and Indian egg donors. They are the one who will ensure you the highest success rates of the fertilization and there are more chances that you have twins baby using the African egg donors. If you have a preference to have the Muslim Egg Donor for your egg donation procedure then the GO IVF SURROGACY clinic also have the database for the Muslim egg donors who are willingly ready to donate their eggs for the couples looking to have an own baby through egg donation procedure and their family also supports them for the same. They are the women who are paid for their services by their clinic where they donate their eggs. These egg donors are properly screened for their infectious diseases such as AIDS and Hepatitis B so that the egg which they produce are disease free and you will have your healthy and disease free baby. Couples who have their preference of Chinese Egg Donors as they wish that their baby looks like them when they meet the fertility experts at GO IVF SURROGACY clinic where they will get the large number of database of the Chinese Egg Donors and the couple can choose the egg donor according to their preference such as the height of the egg donor, health, colour complexion etc. These egg donors are hired from other countries to provide their services to the couples across the globe without any questioning that to whom their eggs are donated. GO IVF SURROGACY clinic offers the best and reasonable Korean Egg Donors to the couples who have the specific choice that they wish to have only the Korean Egg Donors as they wish their baby looks like them only. For these couples as well we have the database from where they can choose their egg donor and once they confirm the egg donor to us, we will proceed with the egg donation procedure. In this procedure, the chosen egg donor egg will be artificially inseminated with the recipient husband and the resulted embryo will be placed into the uterus of intended mother to establish the successful pregnancy. The couples who are from Japan and have the preference that they only wish to go for the egg donation procedure if they have the Japanese egg donors then the GO IVF SURROGACY clinic is the best destination for them which offers the large number of database of the Japanese egg donors who are young, healthy and fertile women between the age group of 21 to 28 years and ensure the highest rates of pregnancy. Before these Japanese egg donors provide their services to any couple they are properly screened for their medical and physiological testing to ensure the best results of the treatment. Till date, the success rate of GO IVF SURROGACY clinic for egg donation procedure is around 70 to 80% of women under the age of 35 years and 45 to 55% of women above the age of 40 years. This is the centre which is continuously delivering the highest success rates of pregnancy as compared to other developed countries IVF clinics. They are the one who focused on the treatment and they will not take the rest until the time they deliver the healthy baby to his/her intended parents. Because of these highest success rates people from other developed countries prefer GO IVF SURROGACY clinic for their fertility treatments. To become an egg donor the women should be young, healthy and fertile between the age group of 21 to 28 years as they have the tendency to ovulate more than the older women. They should be medically and physically fit and also should be psychological very strong as the procedure of Egg Donation program required a lot of emotional support and patience. The GO IVF SURROGACY clinic will hire both married and unmarried women but they have to sign an agreement which states that the egg donor and their family members have no issues that to whom her eggs are donated. The advantages of becoming an egg donor makes you feel happy that you are the one who is the reason of happiness in others life especially those couples who are not able to conceive naturally their own baby. You are the one who completes the family for others. Also, it makes you aware of your fertility potential and you will get the free testing for certain disorders if any. By becoming an egg donor it also helps you financially and provides you with an opportunity to know the child. So, don’t wait and visit GO IVF SURROGACY clinic to become the reason for someone’s happiness. Go IVF Surrogacy offers various options for fertility treatment with Egg Donors from Indian and Abroad. 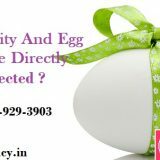 Go IVF Surrogacy (GIS) has the largest Donor Egg Program in India. Our donor recruitment efforts are active and ongoing and our pool of immediately available donors is robust. We have more than 20 Premium Indian donors listed with us at any point of time. And they are available immediately. Before a donor is ever added to our database, they have completed testing and have fully met the medical, genetic and psychological donor qualification criteria. To see a full list of screening. The donors in our database are exclusive to Go IVF Surrogacy and its IVF specialist in India. Our donors have completed 100% of their testing and are qualified to donate now. This donor database is very dynamic. Every week new donors are added to the pool and every week the premium donors are matched with patients and taken out of the available pool. You can look at the complete database or sort by physical characteristics (height, weight, ethnicity, hair color and eye color. Additional information about the donors such as education, special interests, occupation, a personal essay and childhood photos are also included in their profile. To maintain quality and security for patients, the recent database is emailed to them on their request . Who are Premium Egg Donors? These are Females from middle class or higher middle class of India who are normally University students, Graduates, Post Graduates, Lawyer / Medical interns with great physical characteristics, height between 5 feet 4 inches to 5 feet 9 inches, weight proportion according to height. All of our donors who are selected in our donor program are highly fertile and are willing to donate for you. All the donors are stimulated as per your arrival schedule in India and they donate fresh for you. An IVF cycle with freshly donated eggs always has better success rates. Where do these donors come from? These donors are young girls staying in the city of your treatment. They would normally be staying near the clinic and have been referred to us through another female who has been a donor or a surrogate with us in the past. Sometimes, we also recruit these donors through donor coordinators and local donor agencies. If you are opting for an Egg Donor assisted Surrogacy with GIS, you will be required to stay for just 5 days. Your case manager from GIS will coordinate all of the fertility treatments with your IVF clinic of choice while you are in India for a seamless fertility cycle.